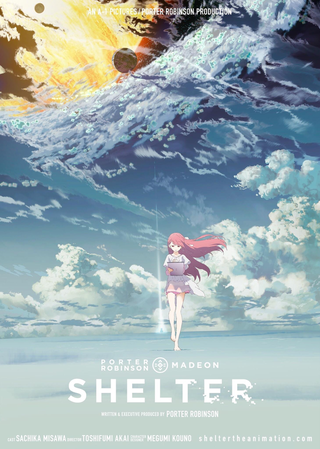 Shelter tells the story of Rin, a 17-year-old girl who lives her life inside of a futuristic simulation completely by herself in infinite, beautiful loneliness. Each day, Rin awakens in virtual reality and uses a tablet which controls the simulation to create a new, different, beautiful world for herself. Until one day, everything changes, and Rin comes to learn the true origins behind her life inside a simulation.